Promising that ‘critical debate’ will be part of the Norway Guest of Honor program at Frankfurter Buchmesse, Norwegian authors discuss their work and culture at a news conference in Leipzig. 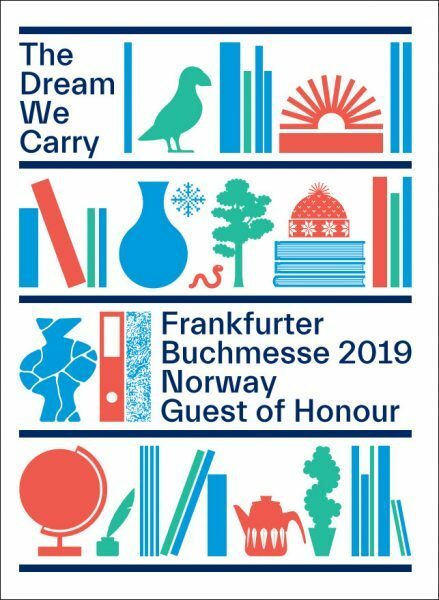 The Frankfurter Buchmesse’s 2019 Norway Guest of Honor program (October 16 to 20) has as its theme the charismatic phrase “The Dream We Carry,” and details of the coming plan were discussed today (March 21) at Frankfurt’s annual guest of honor news conference at the Leipzig Book Fair. 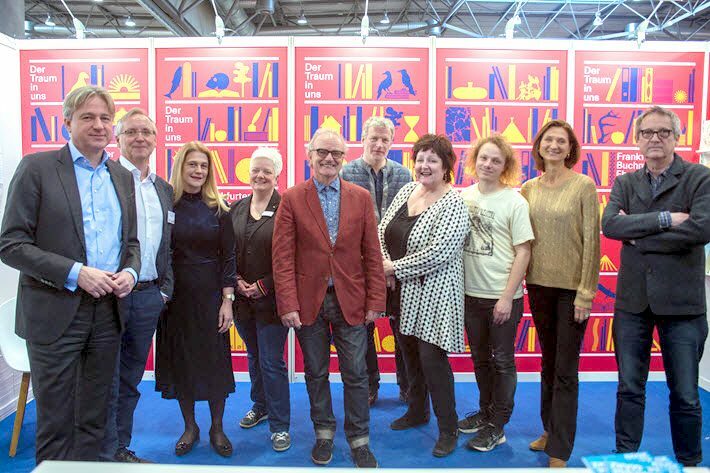 The program in Leipzig is expected to showcase 18 Norwegian authors and their works with some 40 events on the exhibition grounds and in the city. The organization is being handled, of course, by NORLA—Norwegian Literature Abroad—under the direction of Margit Walsø. As we reported during the London Book Fair last week, NORLA has reported that the guest of honor preparations have led to a record-breaking 639 translation grants in 2018 for books by Norwegian authors going into 45 languages. At today’s news conference, Frankfurter Buchmesse director Juergen Boos said, “Democracy and freedom of expression are deeply rooted in Norwegian society, and literature is highly valued. “In recent years, Norway’s literary scene has produced a number of highly respected authors—Maja Lunde, Karl Ove Knausgård, Jo Nesbø, Linn Ullmann, Matias Faldbakken, to name but a few. The number of international bestsellers Norway produces is impressive, and Norwegian authors stand out for their extraordinary ability to describe phenomena that are universally relevant. The news event included a discussion with those invited Norwegian authors, who were interviewed by German bookseller Iris Hunscheid. Author Anne B. Ragde, whose Neshov novels have a large fan base in Germany, answered questions about her latest title Liebhaberne (The Lovers). Lars Mytting spoke about his most recent work, Søsterklokken (The Bell in the Lake), which explores the life of protagonist Astrid Hekne and her search for emancipation in the 1880s. Marta Breen, one of Norway’s most prominent feminists, fielded questions about her recently published graphic novel Women in Battle (Kvinner i kamp) with its illustrations by Jenny Jordahl). The “battle” of the title refers to the struggle for women’s rights, and the book is a tribute to strong women, from Rosa Luxemburg to Malala Yousafzai. In addition, author and filmmaker Lars Brandt talked to publisher Stefan Weidle about Flügel in Flammen (Wings on Fire), the collected works of Dagny Juel. And the news conference also featured musical contributions from musician and author Pål Moddi Knutsen. His book Forbudte sanger (Forbidden Songs) is just out from Edition Nautilus. Relative to the guest of honor presentation for Frankfurt, the project’s leader Halldór Guðmundsson echoed Boos’ comments in referring to the importance of freedom of speech as a pillar of Norwegian identity. “Freedom of expression gives literature life,” Guðmundsson said. “The Frankfurter Buchmesse shares that view, as shown by its ‘On the Same Page’ campaign last year”—which promoted the 70th anniversary of the Declaration of Human Rights in collaboration with the United Nations. Some of the events available in Leipzig this weekend in association with Frankfurt’s Norway Guest of Honor programming can be found here. And here is a video produced by the program, illuminating various parts of the graphic presentation of the program. More from Publishing Perspectives on Norway is here, and more on Frankfurter Buchmesse is here.